Bonnie Brasher laughs as one of her friends tells her a joke. After four years of committing herself to gymnastics, sophomore Bonnie Brasher has found a new passion for volleyball. Bonnie Brasher blocks the ball from coming over the net and scores a point for her team. 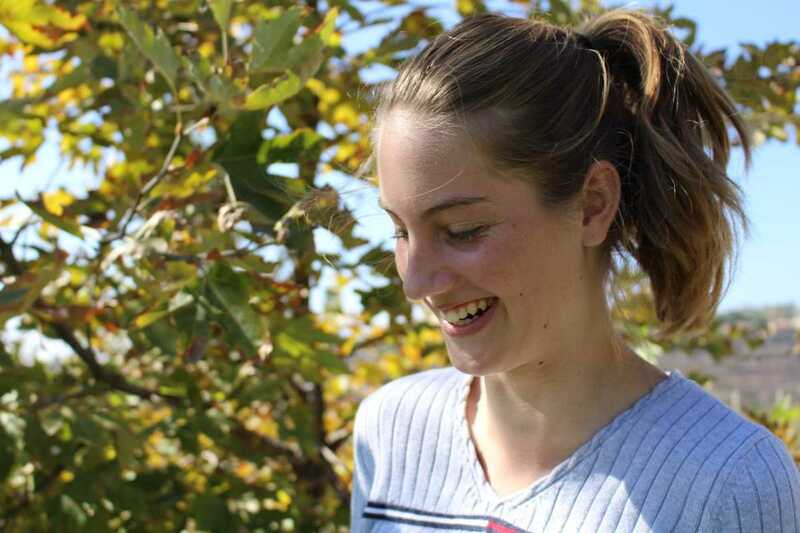 “I use to do gymnastics [until] I realized I am way too tall for that, so I decided to quit and join something that would kind of help with my height, so I started volleyball freshmen year,” Brasher expressed. Since starting volleyball she has played two main positions: middle and opposite. 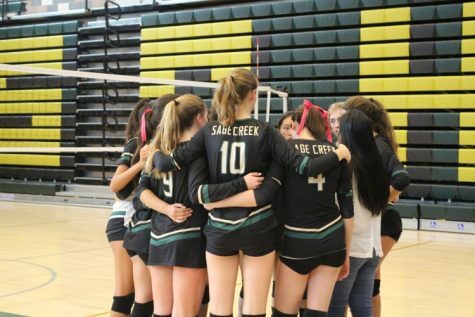 For Sage Creek’s junior varsity team, Brasher is a middle (the person who blocks and hits). On her club team, she plays opposite (a different position of a hitter). Brasher does not just love the positions she plays, but the entire team environment as well. Brasher is not the only one who enjoys being on the volleyball team. Alessandra Romero, her volleyball coach, also feels that she is a great addition to the team. “Bonnie is a very hard worker. She has the ability to be a really great player as long as she is able to become more fit in her role as a middle,” Romero said. Even though Romero feels that Brasher’s position fits the team for this year, she feels that she should focus on expanding the positions she plays to find what works best for her. Bonnie Brasher huddles with her team before the game. Despite Brasher still being so young, she has already made lifelong friends who support her everyday with her volleyball hopes and dreams. Her close friend Parmis Sanaei, a sophomore, finds Brasher to not just be amazing at volleyball, but also to be a friend with great qualities. 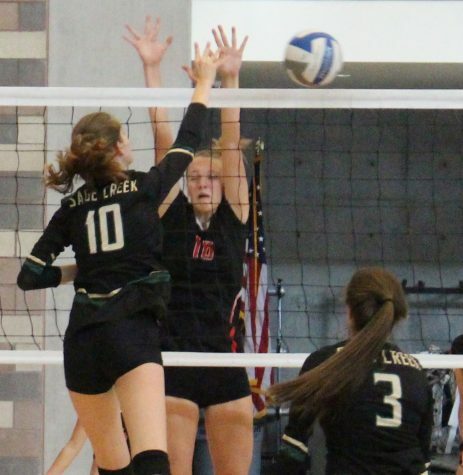 Throughout Brasher’s journey to find her passion in volleyball she has had her friends to help her with the ups and downs. But she does not just want to be remembered as the “tall girl who plays volleyball” but as something more.